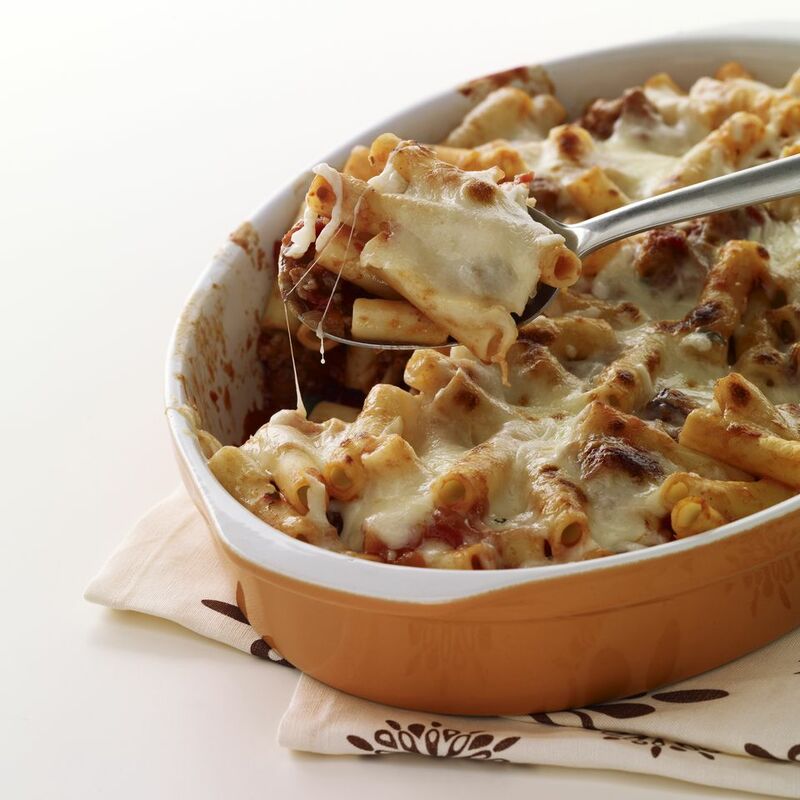 This Cheesy Mushroom Baked Ziti is gluten-free, although with the stellar gluten-free pasta on the market nowadays, you certainly can't tell it is gluten-free. This recipe goes all out on the mushrooms, which are sautéed with onions and Parmesan, then added to a big bowl of cooked gluten-free rigatoni, and shredded mozzarella. Baked with additional cheese on top, this crowd-pleasing and can-feed-a-crowd dish is ready to come out of the oven in 25 minutes. For the meat lovers out there, feel free to add cooked Italian sausage to this dish for an even heartier meal. Preheat oven to 375 F and set aside a 9x9 casserole dish. While pasta is cooking, prepare the mushrooms. Heat oil over medium heat in a large skillet. Add the onions and cook until softened, about 5 minutes. Add the mushrooms and season generously with salt and pepper. Cover and cook until mushrooms soften, stirring occasionally, about 5-7 minutes. Remove lid and stir in Parmesan. Remove from heat. Drain the pasta once it is done cooking. Add the pasta to a large mixing bowl. Pour the jar of marinara sauce over top and add 1 cup of shredded mozzarella. Mix well. With a slotted spoon, add the mushrooms to the bowl of pasta, draining any excess liquid by tapping the slotted spoon full of mushrooms against the pan. Stir to combine and season to taste with additional salt and pepper, if needed. Bake, uncovered, for 20 minutes. Sprinkle the remaining mozzarella cheese over top (feel free to add more if you like a really cheesy dish). Bake for five more minutes until cheese is melted. Remove from oven and cool for five minutes. Scoop baked ziti into bowls. Serve immediately.